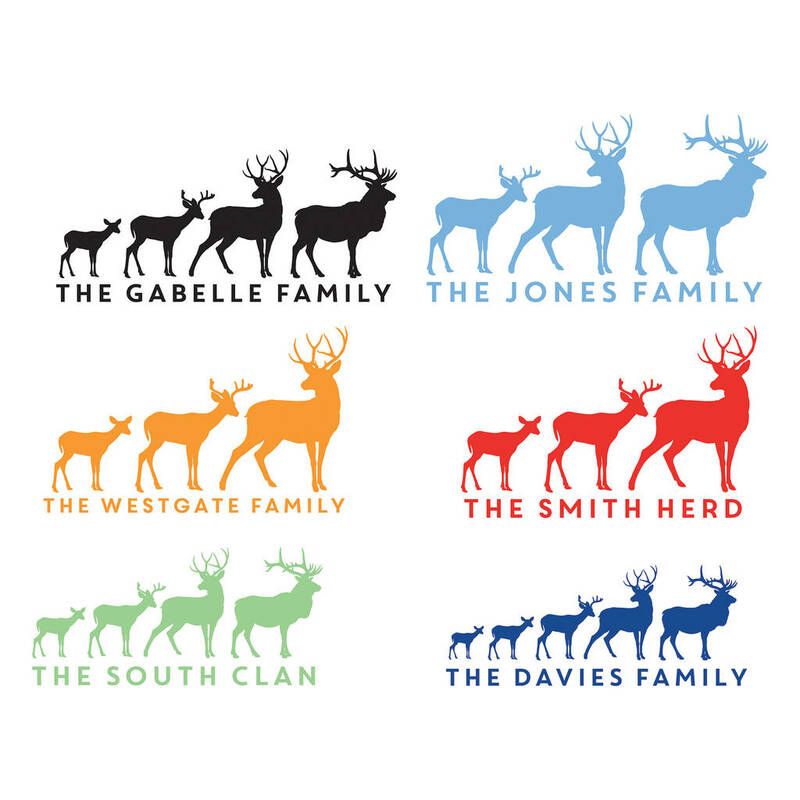 This lovely Personalised Stag Family cushion makes for the perfect family gift. 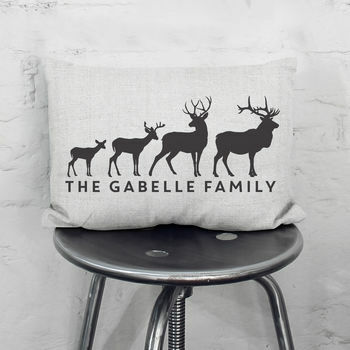 This gorgeous Stag family cushion is a must have gift for any family home. 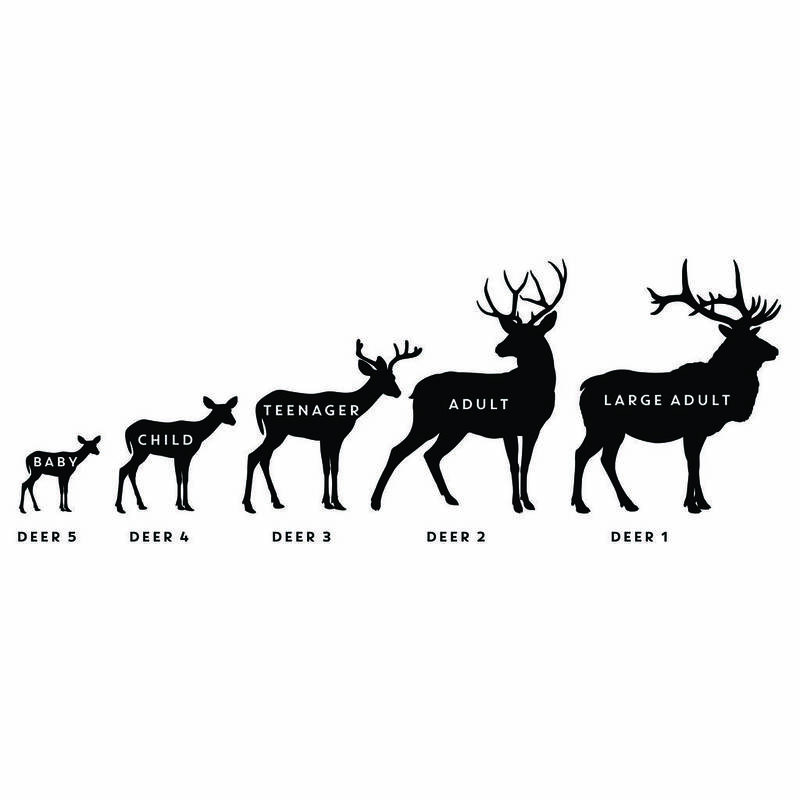 Each cushion can be personalised to suit your family size and features lovely Deer images. The design is completed with your own personalised message beneath the lovely artwork. A wonderful cushion that is sure to bring happy memories for years to come. Would make for an excellent house warming gift and is sure to look fantastic on the sofa or bed. Perfect for in the living room for the whole family to enjoy! 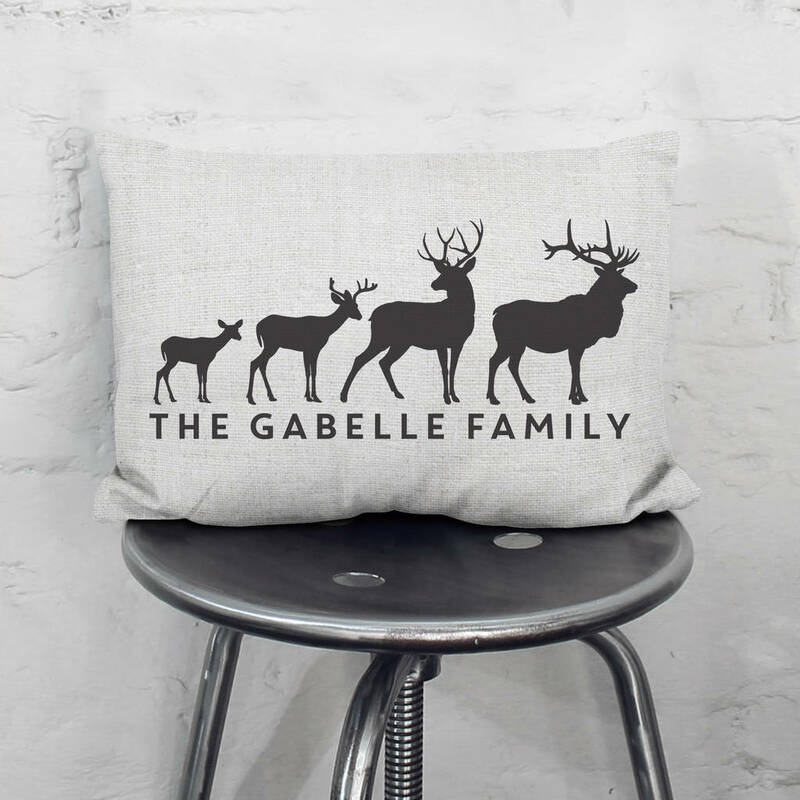 This cushion makes for a great statement piece and a lovely personalised gift. Makes for the ideal present! Each cushion can be personalised to include a name or message at the bottom as well as a colour scheme. This product is dispatched to you by That's Nice That.